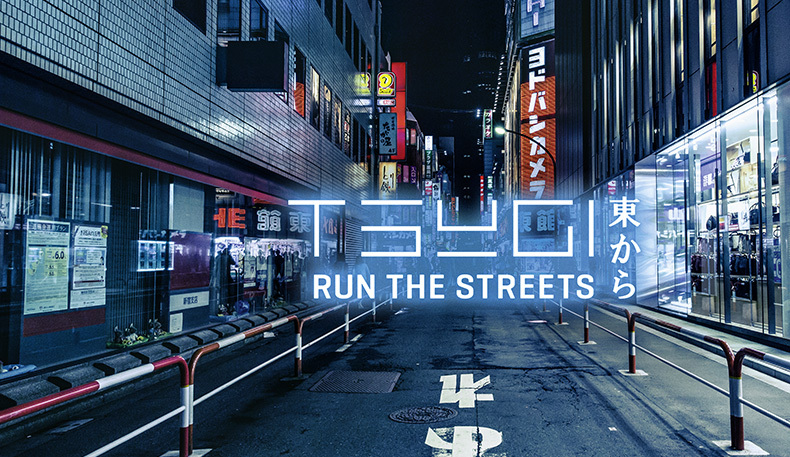 The Tsugi Shinsei is part of their Run The Streets campaign – a movement for go-getters and innovators. 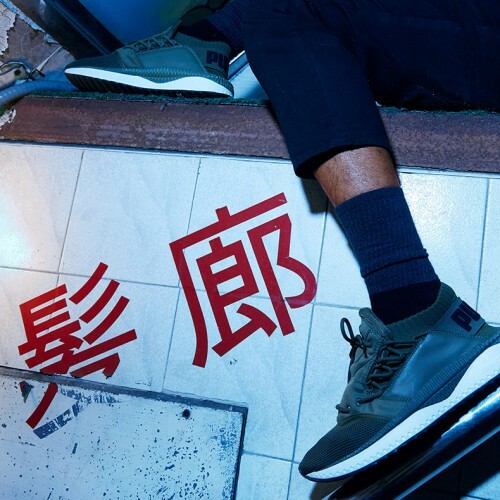 Throughout this campaign, PUMA pays homage to traditional Japanese design – with a focus on high-quality materials and core design. This fresh runner is found upon PUMA’s most advanced technology: IGNITE FOAM. The sole unit will without a doubt provide quality comfort for your feet. Additionally, a new lacing system is introduced where the laces travel up both sides of the knitted sock upper. 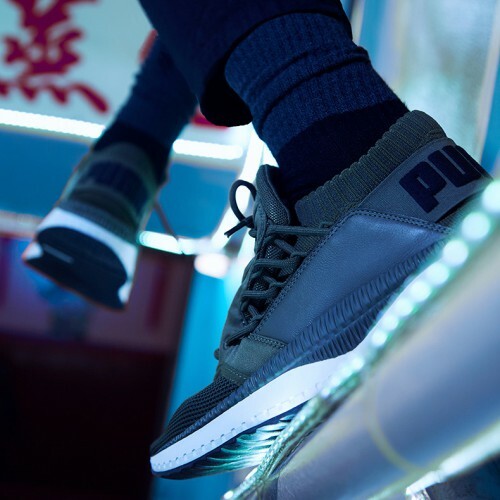 To top things off, this sneaker is supported by an elastic gore that is finished real nice with a PUMA logo across the heel. 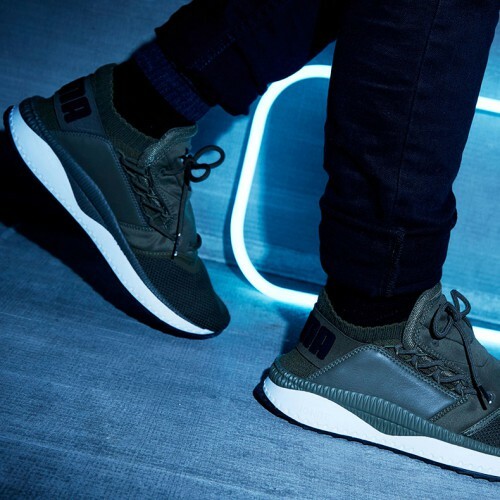 What’s more, these sneaks are modelled here by PUMA’s brand ambassador The Weeknd. The Weeknd is at the front of this campaign for SS17 for his influence in music and his general street-style swagger. You can clearly see why in the official Run The Streets SS17 video below. The first drop of colourways includes OLIVE NIGHT/WHITE and GREY VIOLET/WHITE. Both are available now at schuh. Keep your eyes peeled for this style to appear in BLACK/WHITE, they’ll be here shortly so you’ll be able to get your hands on them soon enough. Stay tuned to schuh for more additions to the TSUGI line this SS17. In the meantime, check out PUMA’s latest products at schuh, you won’t be disappointed.